Napoli – Hostellit kohteessa Napoli. Napoli -karttoja, valokuvia ja arvosteluja kaikista Napoli -hostelleista. Etsitkö halpaa hostellia, retkeilymajaa, edullista hotellia, huoneistoa tai aamiaismajoitusta kohteessa Napoli? Älä etsi enää, kaikki hyvät tarjoukset kohteessa Napoli ovat sivustolla Hostellit.com. 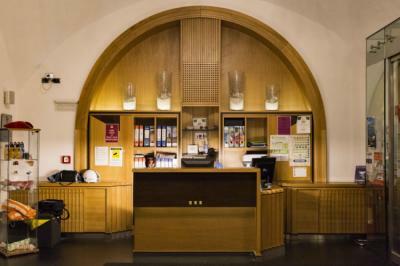 Kuten tuhannet ihmiset joka kuukausi, varaa hostellisi turvallisesti parhaaseen hintaan kohteessa Napoli. Tällä sivulla voit helposti löytää hostellin keskustasta, trendikkäistä lähiöistä, ylioppilas-kaupunginosasta, läheltä tärkeitä kulkuyhteyksiä tai nähtävyyksiä kohteessa Napoli. 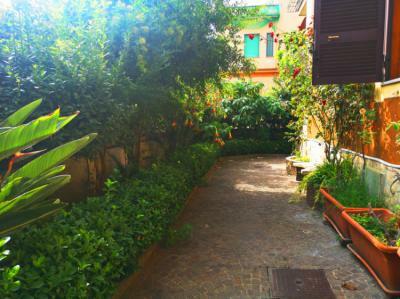 In 5 minutes by walk you can reach 'SITA' station that lead bus to Pompei, Sorrento, Positano and Amalfi coast. Behind us Castel Nuovo Palazzo Reale, Piazza Plebiscito and Umberto Gallery are the most popular area; like Piazza Municipio,from which you can access the underground station and get free walking tour The property is around a 3-minute walk from Maschio Angioino, 600 m from Palazzo Reale Napoli and 600 m from San Carlo Theatre. The property offers a 24-hour front desk. Les responsables de l'auberge de jeunesse nous ont bien accueillis, mais notre chambre n'étais pas propre: draps avec des tâches, présences de PUNAISES DE LITS, sol pas très propre, salle de bain non plus: reste de produits d'autres résidents (bien que très pratique qu'elle soit dans la chambre), les lits étaient abîmés. Nuestra experiencia en el albergue ha sido bastante mala, la noche que llegamos no tenían constancia de que nosotros fuéramos a hospedarnos allí, nos metieron a 11 personas en ocho camas durante tres días, no sabían qué número de días nos quedábamos ni cuanto habíamos pagado por la reserva, para colmo uno de los días nos metieron en nuestro baño particular un tendal con su ropa para secar, cosa que tuvieron que retirar según nos percatamos de ello. Don t go there. The place is very dirty. My bed collapse on my roomate during the night. This hostel is full of bed bugs my body is full of button now. The staff is not very sympatic. During the night one of the staff fight with someone during 1 hour nobody could sleep. This hostel is close enough to the train station. Friendly staff. This hostel in Naples has a very rooftop where you can enjoy the views. Clean hostel dorms as well. Good breakfast. was pretty clean in the rooms. The dorm rooms were really nice - modern looking and the beds were comfy. There were massive lockers in the room that fit my huge backpack with extra space which was great. The free breakfast was the best I&apos;ve had. Also the air conditioning was AMAZING. Also the staff were friendly, especially the guy with glasses who was on the desk quite a bit was so patient and helpful. Hostelli sijaitsee tyypillisessä napolilainen naapurustossa ja pääsee helposti bussilla, junilla ja vain 15 minuutin kävelymatkan päässä Garibaldi-keskusasemalta. Takaamme parhaat hinnat asuntoloissa, ilmainen wifi, iso terassi ja puutarha. Monikielinen henkilökunta tekee parhaansa täyttääkseen kaikki tarpeesi ja antaa sinulle hyviä vinkkejä Napolin napaavan kaupungin vierailulle. So close and easy to get from Napoli centrale!! + balcony in the rooms!! Staff was so helpful and friendly, particularly in helping me pick a tour. The free breakfast was pretty good too! Very secure. Right next to main train station. Staff was so nice and helpful. They know everything about Naples and other locations for day trips, and will give you detailed directions on how to do things right and save money. The place was very nice too. Clean and decent facilities. 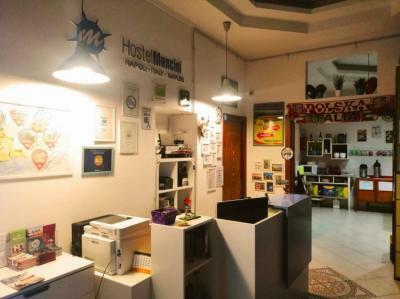 The hostel is conveniently located in downtown with the station at a walking distance (5 minutes) The breakfast is free and self service, there is coffee with milk, roast &amp; toast with cherry jam or butter, but no orange juice. Lockers are available for free, you find them inside the room, but the staff doesn&apos;t provide padlocks, you have to bring your own padlock. Bien situé dans Naples pour accès aux transports (gare centrale et aéroport, idéal si vous avez un vol tôt le matin - vous pouvez y aller à pied). Un peu excentrépour la visite de la ville ceci dit Dortoirs propres Opportunités de l’un social : dîner propose tous les soirs et des excursions dans les environs sont proposées : Pompéi, SALERNE, etc.